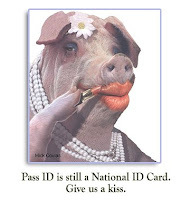 Tennessee experiencing turbulence on material compliance with Real ID. Two Tennessee State legislators came out to defy federal requirements on State drivers licences towards the January 15th deadline. Yesterday, legal analysts in favor of the federal mandate batted back saying most of the State was in material compliance with the law and was eligible to become certified. For those new to Real ID, a certified Real ID license includes a gold star and the ability for a locally issued license to be considered an internal passport by federal authorities. 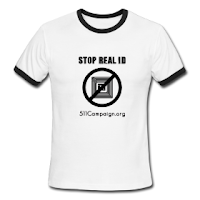 Tennessee passed a State Law demanding the repeal of the Real ID Act. There is an internal conflict between Public Safety administration and the legal precedent established against the federal law in the State of Tennessee. Florida takes $740,000 to the craps table as they consider gambling with Real ID. Paul Henry, a local organizer against the measure will lobby the RIDE bill or the Real ID Elimination Act. Florida State's legal resistance to the Real ID Act is alive and well. REDUX: The Vactican, RFID & Real ID resistance cont. "Vatican clergy and employees will be issued with an identity card complete with a microchip-tracking device in sweeping new security measures designed to prevent a repeat of the Vatileaks scandal." Will RFID still be the "Mark of the Beast" as the Vatican uses it to track clergy? SURVEILLANCE SOCIETY: Who’s Watching the Kids? Just About Everyone, Apparently.